In the early hours of the 17th November 2017, our beautiful sister Kirsten was severely injured in an unprevoked horrific attack. Her attacker poured petrol over her head, set her on fire, then stood to watch while she struggled to extinguish the flames. Her attacker was arrested and currently awaits sentencing. We are lucky to be able to say that Kirsten survived the attack, although sadly with extensive third degree burns to her head, face, hands, arms and upper body. The fact that she survived was nothing short of a miracle and the fast actions of a neighbour who came to her aid. She currently 18 weeks into her recovery, and still in hospital. Currently she is in the position where further surgeries need to be undertaken after a period of recouperation, so far she has had in excess of 60 operations with many more grafts and surgeries planned, but her body cannot cope with more surgery at this time. Since leaving Intensive care she has spent all of her time in an isolation room due to having an infection. But Kirsten, being the stubbourn soul that she is, has fought and pushed her way through pain and set-backs and is slowly recovering. Kirsten is the most kind hearted soul anyone would ever have the privilege to meet. That night, she did what Kirsten does and put others before herself, in our eyes she is a true hero. 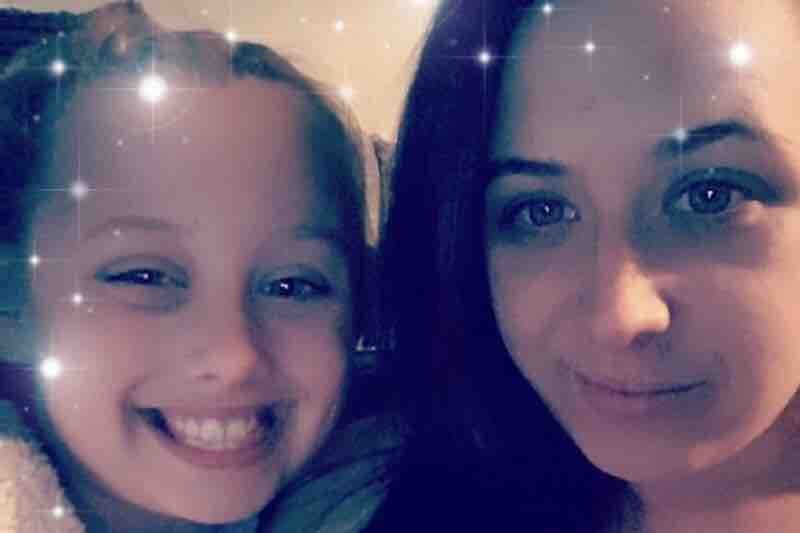 But now, Kirsten and her 9 year old daughter Maddison, who has only seen her mummy twice in all these weeks, are both suffering dearly as a consequence. Kirsten, as with most 27 year olds, has always had a zest for life, she is a warm, caring and loving Mum to Maddison as well as the most wonderful, caring, aunty to all of her nieces and nephews. If there is ever any fun to be had then Kirsten is always first in the queue. Many people, upon hearing Kirstens story, asked if we had a giving page where they could donate to help Kirsten and Maddison. With that in mind we have set up this page to raise funds to help make life as easy as possible for Kirsten and Maddison and to enable us as a family to support them with whatever they need both now and in the future. At some point in the future, she will need extensive therapy and equipment to help her with everyday tasks. She faces a lifetime of further surgeries and reconstructions. Any donations will be greatly appreciated, we have not set a target as we have no idea how much funding she will need as her injuries will affect her for the rest of her life. I know what has happened has shocked and saddened many people. So let’s do what we can and try to help. Time is marching on and it has been almost a year since the attack. Since then the CPS has reviewed the case and decided that the sentence given was too lenient. The case was referred to the High Court of Appeal in London, and was heard by Lord Justice Davis who decided that 19 years wasn't long enough. So he increased James Bowen sentence to Life in prison. The hope is that he will serve at least 30 years. Kirsten was interviewed by Iain Lee for Talk Radio, who has now added it to his list of podcasts. He really treated her nicely and she enjoyed the interview. As yet it is the only interview Kirsten has given. Kirsten thanks each and everyone for their donations and kind words, she does read them all and appreciates each and every one. Kirsten is currently just about to start operations on her hands, as well as having some scars released. I realise that it has been a few months since the last update, but time just disappears and before you realise it weeks or months have passed. We are all trying to get Kirsten and Maddison back to as normal a life as possible, so apologies to you all for the less than frequent updates. Lastly for this update, as Kirstens Dad I see how she has progressed these last few months. She makes me proud with her strength and determination, although sometimes she really can be a pain in the arse. Then I realise how lucky myself and her Mum are to still be able to call her a pain in the arse. So thats Ok. Thank you so much for your support. The response to Kirsten’s story has been overwhelming. We are so proud of her as she continues to amaze us everyday with her recovery. Thank you so much for sharing, we shall be showing her all of the lovely comments of support she has received. On 20th April 2018 at Luton Crown Court, (Raymond) James Bowen was sentenced to 19 years with 5 year extention for the attempted murder of our sister Kirsten. A huge thank you to the CPS and Barristers who represented Kirsten for a job very well done.